Scroll down for "Karin" and "Ginban Kaleidoscope -- 2 great new shows! general, but rather to show you some of my own personal favorites. Perhaps you might be curious, and one day decide to watch these gems. These reviews are based on the original Japanese-language versions. rather than dubbed, as English dubs can rarely match the original. "Spirited Away" won the 2002 Academy Award for Best Animated Feature! "Good" and "Bad" guys that you'll find in a typical Disney product. for adults as for children. 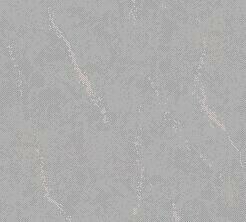 able to find something suited to your tastes. decided not to release "Only Yesterday." Perhaps they will re-consider. nothing like seeing these movies on the big screen. 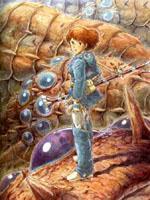 1984: Nausicaa of the Valley of Wind ("Kaze no Tani no Nausicaa"). bond to many of the mutated animal species that populate the earth. the last of Earth's precious remaining resources. A masterpiece. 1986: Laputa: Castle in the Sky ("Tenku no Shiro, Laputa"). score by composer Joe Hisaishi. "Castle in the Sky" isn't that great, and includes a different score. subtitles and the original score) -- a feature available on the DVD. this movie, and the art will captivate any adult. 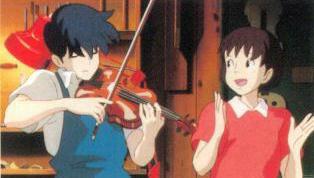 NOTE: The most famous of Miyazaki's movies, it's loved around the world. the English voice cast on the old Fox release over the new Disney one. now a pig, Porco fights for honor and love in the skies. plays a major part in many of his films. dubs go, this is one of the best. 10 Best Films of the Year. and DVD. Don't miss it -- this is a wonderful film for everyone. remained my favorite animated TV show, even after all these years. and a cat that's always trying to escape? first season says it all: "Take Me to Summer Side..."
and enjoy your youth -- with always some funny hijinks going on. by the time you're done, you'll have a smile on your face. 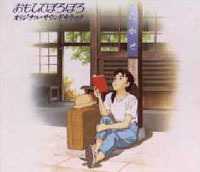 original KOR movie "Ano Hi ni Kaeritai" ("I Want To Return To That Day"). is available on VHS and DVD from A.D. Vision. as good as the original TV series. shows, is that "Hime-chan no Ribbon" is actually a really great show! I count myself as one of those fans. more gentle and lady-like, the way her older sister Aiko is. real Hime-chan does), stop time, and change size. when she approaches him, Daichi thinks she's a boy. 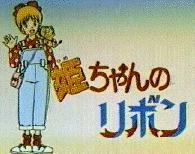 A swift "Hime-kick"
laughing when he hears the tomboy's name is "Himeko" ("Little Princess"). each character on the show has his/her own personality fully developed. but these Region 2 DVD sets can be ordered from places such as Amazon Japan. and they're still in great shape, even today. Anita -- three sisters who, like her missing friend Yomiko, have the ability to magically "use"
agents drag the sisters (and Nenene) into chaos -- and into a conspiracy of global proportions. I realize this review doesn't tell you much... but I've done this on purpose, for "R.O.D. The TV"
for more -- but the show also shines in its humor, drama, and wonderful character development. the Japanese voice cast is incredible. another music cue was substituted for this scene instead. be the one -- and watch it through to the end, for it just gets better and better. loves the daylight -- and hates the dark! Shamefully, other than her blood increasing, she's just like a human! memory! (Her family being vampires must be kept secret -- not even her best friend Maki knows). stop Kenta from being unhappy (and thus stop her blood from increasing), she'll start making lunches for him everyday. Karin's best friend Maki is in love with him). DVD. This show is definitely worth a look -- it's absolutely hilarious, and ranks among my all-time favorite shows. ghost named Pete Pamps, who recently died in an aerial acrobatics show. weapon: tomatoes. Pete can't stand them, and anytime she wants to "punish" the "Canadian parasite", she eats a mouthful. the Olympics are just around the corner, and Pete's days with her are numbered. yet been licensed in the US, but I hope in time it will be, for it was one of my favorite shows of 2005.
college. He is awed by Tokyo life -- especially the number of "Persocons"
they're still just computers running on software. fail, and any other Persocon hooked up to her instantly crashes. a small child, and Hideki soon names her "Chii" (after the only word she can say). words, taking her first shopping trip, and even landing a part-time job. happy just to spend all her time with Hideki. 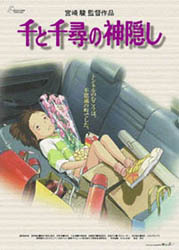 with "those things") resonates with Chii, and she thinks about the book constantly. more, and it's a wonderful journey to take with her (with lots of fun along the way). a cursory glance), but it was very well-done (with some great ending songs too). Floating in the clouds... Then falling, falling... A crow tries to help, but... A dream? with no memory of who she used to be -- and everyone around her has halos and wings. 13-episode TV series from Yoshitoshi Abe. Haibane named Reki decides to look after her. in the US by Pioneer/Geneon. Reiko: a nice but extremely dumb, ditzy girl who creates illusions by playing a "Bewitching Melody"
on the piano. Problem is, she usually misplaces her music, or has no clue as to what's going on. a crush on him and decides to join. and goes around pretending he has Gate ability while spouting off anything macho that comes to mind. that she's always coming in second to. Fei-chan: the youngest of the group (age 12) from China, and just about the only one with common sense. younger sister Saemi, to the AEGIS Commander (who is hilariously over-the-top serious). a great score by Kouhei Tanaka that actually uses a real studio orchestra -- quite a rarity these days). as the show should (and can) be viewed in its original Japanese with English subtitles. After the original "Gatekeepers" aired on TV, a 6-episode direct-to-video story called "Gatekeepers 21"
using a celphone or laptop, she's avoided by her classmates, and finds their idle chit-chat contemptable. greed are now running rampant in Japan, only making the invader situation worse. in the US by Geneon on two DVDs, and is definitely worth watching after the series. Shuuji out on a date. Surprisingly he accepts, and the two start going out. she's allowed herself to be taken one night and turned into the Ultimate Weapon. (calling her the angel of death), for when she engages the enemy, everyone around her is killed. protect -- she can only kill. I couldn't stop thinking about it for a long time. English subtitles (though they will be more expensive). "One hot summer day, I died. And I saw it... this planet's dying future..."
concerned for the Earth, as her friends have no idea what's going on and think she's slipping away. Meanwhile, things only get worse. Satelite) deserves special mention for its success in seemlessly mixing traditional animation style with CGI. looks like something I'd normally pick up and set back down -- but don't let the cheesy packaging fool you. This is a show worth seeing, and you'll be thinking about it long afterwards. NOTE: Arjuna should be viewed in the original Japanese with English subtitles (an option on the DVD). Trust me, it makes a huge difference. The English dub can't come close to the original. uninteresting, and an alien... but Kazuto doesn't seem to mind, and soon the two start going out. knows Narue's an alien, but no one seems to care (except for one girl, Hajime Yagi -- the "Walking X-files"
would (usually) go wrong as typical anime cliches kick in -- but here they don't. soon finds out that she has a younger "older sister" who is 100% alien (from her dad's previous marriage). saying that while she doesn't mind being half alien, she's also half human). "The World of Narue" (shown in Japan in 2003-2004) isn't anything spectacular, but for some reason I like it. die-hard action fans, but it's a simple little romantic comedy, and I like its charm. ranging from being able to read strong emotions off objects people have touched to psychokinesis. to steal or kill, to innocent children who are taken from their parents, never to be seen again. discovers how strong she really is, she herself becomes a target. character-driven with its own interesting universe, the series turns out to be quite a ride. often seen in Japanese anime. meets his new partner Naomi Armitage: a tough, young, hotpants-wearing officer with an attitude. his spunky little partner's secret: she herself is a Third. the water to drown herself. Ross saves her ("Thank God! "), but Armitage can say only "Thank God for what?! known... yet her life is nothing but a mystery. Why were the Thirds created? Why are they now being killed? And then there's another shocker: one of the murdered Thirds... was pregnant. The original Armitage III was released in the mid 1990s as four OVAs (made-for-video animations) in Japan. which continues the story six years later. It too is worth watching -- but be sure to see the original OVAs first. 4th Grade Girl takes care of her future baby, who time-travels back to her in the present. For kids, but still fun. page of "nausicaa.net". Click here. Rob Kwong's Super KOR Page. worth a visit. It's here. Brian Edmonds also has a great KOR Shrine. web page devoted to it (though it's in Swedish). Click here. and the first KOR movie. "Mama wa Shogakko Yonnensei" (Mama's a 4th Grader). There's a great English/Chinese Hime-chan page here. Hitoshi Doi has a Hime-chan section on his page. (Japanese) Hime-chan related web pages.